When Nissan Philippines set out the call for entries in the “Sylphy Transformation” online promo, over 500 entries were received. Nissan’s promo judges sifted through the many ways the contestants interpreted the process of transformation, keeping in mind the idea of “always innovating to be better, bolder, and more exciting versions of ourselves”, the same way how the Nissan Sylphy is the Sentra reborn. From the hundreds of entries came the story of Michael Hanz Villaster of Bacolod City. Despite being a successful practicing lawyer and a law school instructor, Villaster struggled with a weight problem that made him an object of ridicule. A humiliating experience during a plane ride pushed him into take charge and turn his life around. “Success stories have always fascinated me. Some of these stories have largely influenced my general outlook in life, and motivated me to become the best version of myself. In the same way that I was taught and moved by the touching experiences of other people, I wish to share my story of failures, struggles and hard work in the hope of inspiring generations, both young and old, to aspire for greater things and never settle for what is less or mediocre. I have been scorned and ridiculed for my weight, and was told that I was not good enough to make it in my academics,” he recounted. From a 320-pound man who used to pay twice the fare in public transport and called names, Villaster persevered in his efforts to lose weight by becoming a triathlete. He eventually joined and conquered the Ironman 70.3 Philippines. Upon the prodding of a friend, Villaster realized that the sharing of his story will not just serve as an inspiration to others, but will also give him a shot in doing more good. “Truth be told, long before the Sylphy Transformation’s Final Top 20 was announced, I decided that , should I will win, the car that I am currently using has to go, and part of the proceeds thereof will help fund the medical operations and treatment of a child I’m very close to,” he revealed. 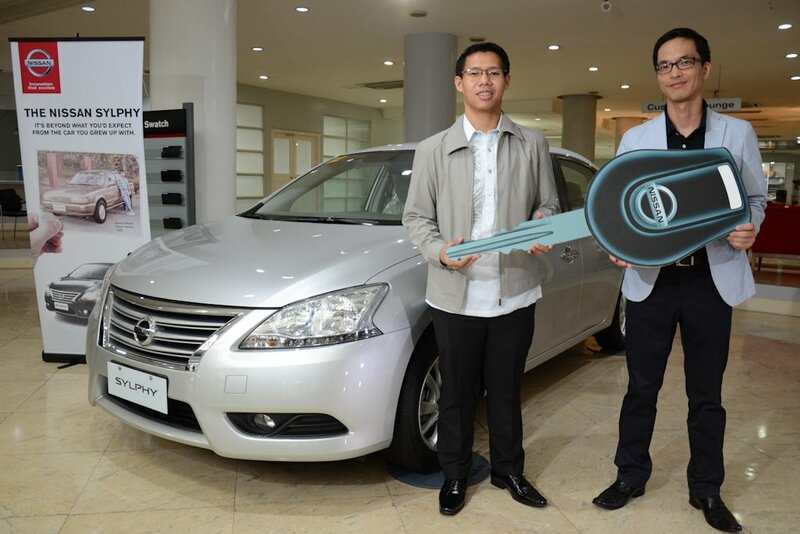 As a first-time Nissan car owner, Villaster believes in the performance, functionality, style and comfort that the car brand offers. “Nissan evolved, based on the changing times, and they continuously heed to the demands and needs of their clients”, he said. Sana si Richard Joash Tan magbago na rin.